If your organisation employs five or more people you must perform a fire risk assessment (Regulatory Reform (Fire Safety) Order 2005). It is your legal duty to ensure that there are adequate fire evacuation procedures in place, wit aaaah additional evacuation procedures for disabled people. 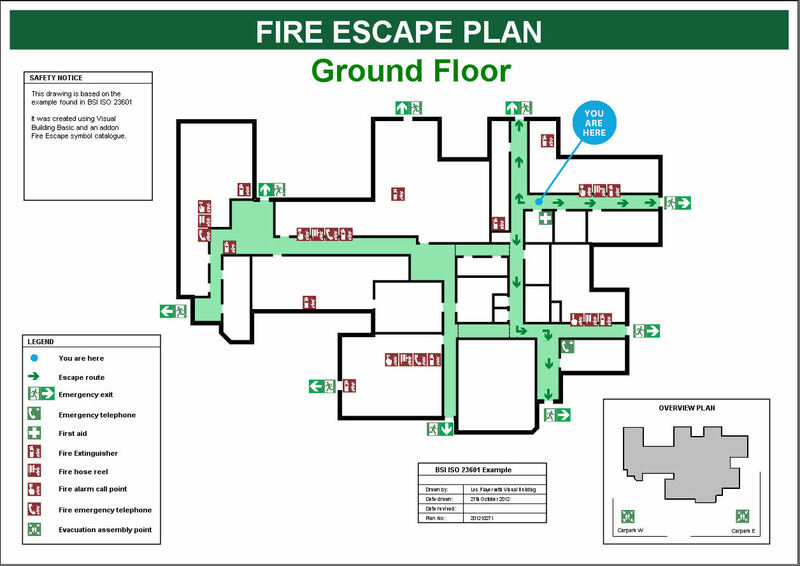 To help identify fire evacuation procedures, evacuation routes and the location of fire fighting equipment to staff and visitors, it is recommended that floor plans are prepared and displayed in prominent locations. It is also highly recommended that a fire evacuation plan is also prepared for every home.This year (2011) sees the release of a new international standard: ISO 7010:2011 Graphical symbols -- Safety colours and safety signs -- Registered safety signs. The shape and colour of each safety is are according to ISO 3864-1 and the design of the symbols to ISO 3864-3. This set of safety signs are intended to be a European norm, and contain design changes to many of the earlier signs. When this becomes EN 7010, the standard will become law in all EU countries, and all signs should be used in all EU countries. There is also ISO 23601:2009, Safety identification – Escape and evacuation plan signs – a standard that establishes the design principle for displaying escape plans that provide information vital to fire safety, escape, evacuation and rescue of a building’s occupants. ISO 23601 is based on the safety signs, colour codes and design requirements of ISO 7010:2003, Graphical symbols – Safety colours and safety signs – Safety signs. Visual Building is ideally suited for preparing and maintaining such floor plans for all sizes of business and public buildings. Visual Floor Planner, an alternative product more suitable for hotels and small to medium buildings. Use Visual Building where precision and large plans are criteria, and use Visual Floor Planner where speed to create is a criteria. 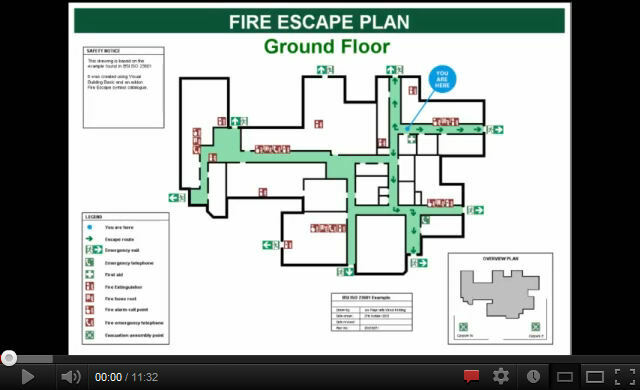 Watch this tutorial video demonstrating how to create a fire escape plan using Visual Building + Visual Building Fire Escape Plan Catalogue. 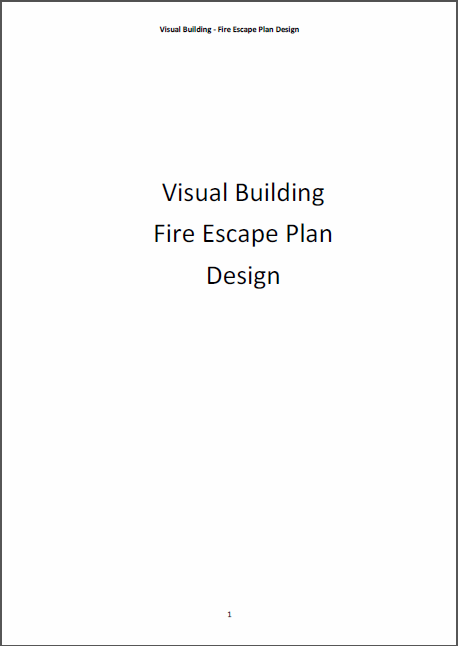 These fire escape plans can be achieved with any version of Visual Building used together with the Fire Escape Plan Catalogue, which is available as a separate download. For Hotel Fire Escape Plans: Its easy to create multiple floor plans, and individual room plans to indicate best means of escape. 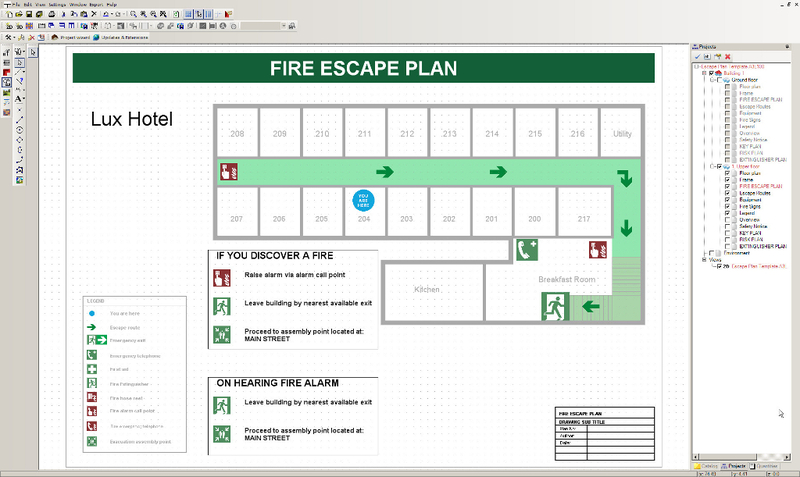 See Fire Escape Plans for Hotels. See our free book: Fire Escape Plan design. With Visual Building you can create / import your own graphic symbols. See how. 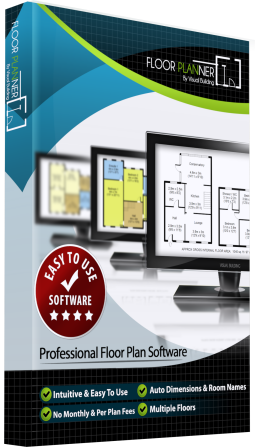 If you need to create only 2D plans then you should also consider using our Visual Floor Planner software. Visual Floor Planner is not as comprehensive as Visual Building, which means you can create your 2D floor plans a lot quicker.